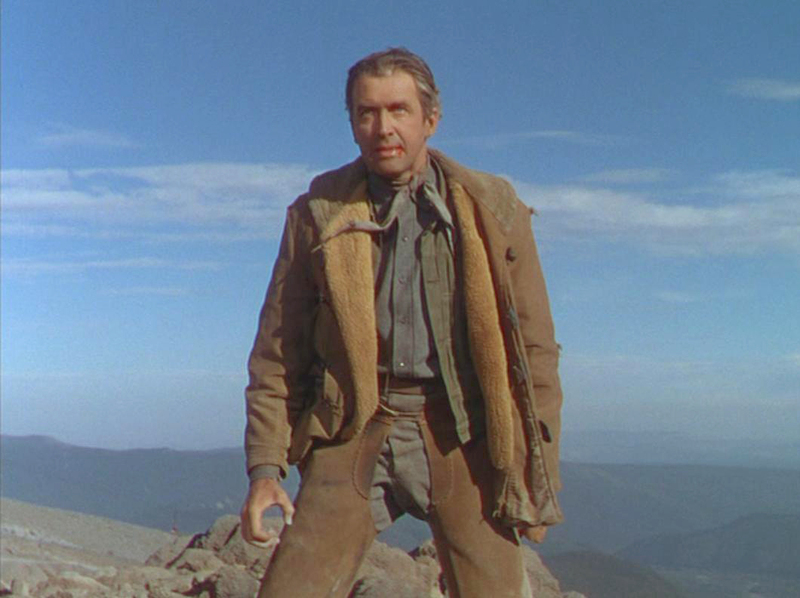 Stewart is often cited as developing harder characters in his movies after the Second World War, tough, often violent characters, with plenty of latent anger. But I have long thought that this was a trait Stewart had shown earlier. Witness his bitter resentfulness in It’s a Wonderful Life, and his hair-trigger temper when made a fool of in Mr Smith Goes to Washington. 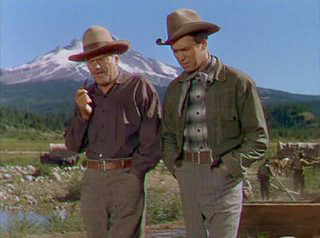 In Bend of the River, that quality becomes manifest in Stewart’s readiness to use a firearm, and may be heralded in the quiet, subdued manner in which he speaks, at times similar to the silence before a volcano bursts. This creates one of the two intriguing characters in Bend of the River. Kennedy’s is the other, a seemingly easy-going rogue, who does too much good to dislike, and implies too much villainy to trust. How he will ultimately act in the story creates a great deal of suspense. The supporting cast is good, but largely over-shadowed. 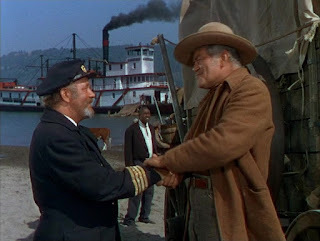 Prominent are Rock Hudson (so young his voice sounds like a boy’s) as an amiable gambler who seems to change sides with the turn of a card, and Jay C Flippen as the settler’s patriarch. Howard Petrie has an interesting part as a civic leader whose transformation under gold’s influence makes Jekyll’s switch to Hyde seem ordinary. 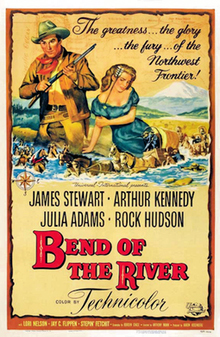 Bend of the River is the second of Stewart’s western films directed by Mann, and it’s clear here why the pair eventually made eight movies together. 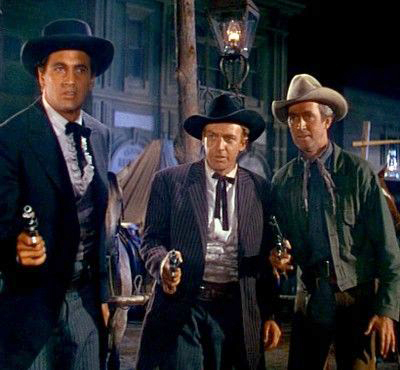 Mann not only brought out the aforementioned menace in Stewart, but excitingly arranged fight scenes, whether with fists or guns. 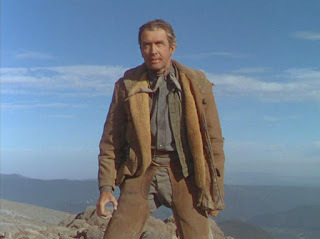 His eye for scenery, aided by the advantageous countryside and the colourful cinematography of 1950s big screen films, makes the movie gorgeous. Admittedly, the story is almost mundane, but since it features the battling dichotomies in both Stewart and Kennedy, I won’t complain about it, though I did wonder why two men, both trying to escape their unsavoury pasts, didn’t use aliases. In the 19th century, a new identity two thousand miles from one’s notoriety must have been a simple thing to achieve. 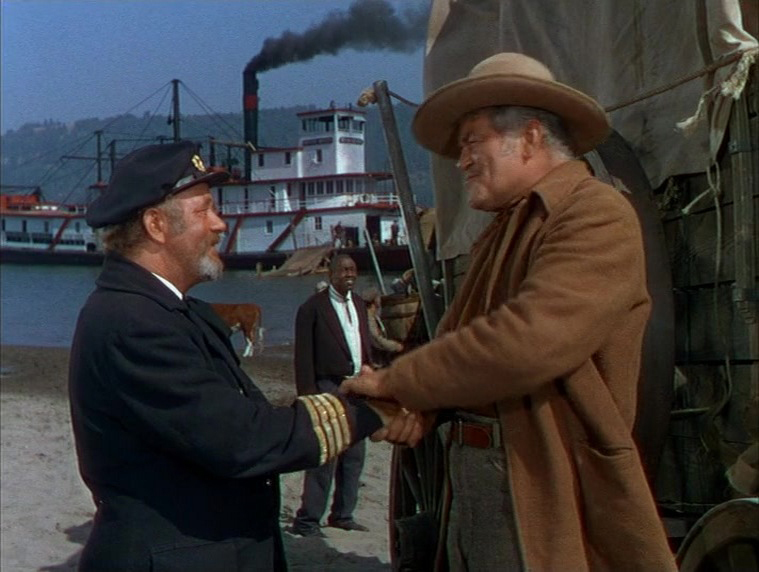 In a decade when westerns were produced a hundred a week, Bend of the River is a stand-out, a seemingly run-of-the-mill tale raised above the average in half a dozen ways. I remember catching this on TV a few years ago. It was a quite good film, but I had the same thought: "Guys, you never heard of ALIASES?!" That kind of bugged me.